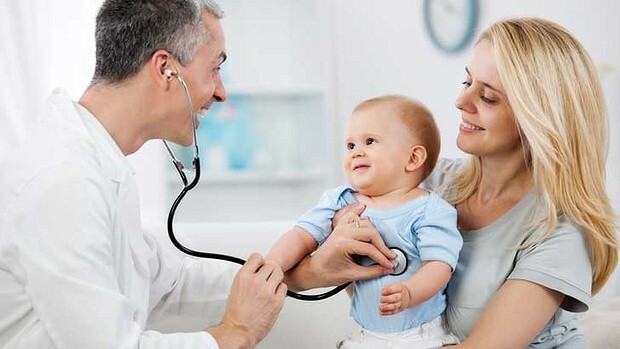 New parents tend to call the doctor at the drop of a symptom. By the time a child turns one, these parent, more experienced and more confident, generally pick up the phone less often. Nevertheless, there are still times when a call for medical advice or reassurance is necessary. No matter what instructions you’ve been given, call immediately (or go to the emergency room if the doctor can’t be reached), if you feel that there is something very wrong with your child-even if you can’t confirm it with the help of the entries on the list and even if you can’t quite put your finger on what is it. Between 40 degree C and 40.5 degree C/104 degree F and 105 degree F; call within 24 hours. Between 39 degree C and 39.5 degree C/102 degree F and 103.9 degree F; call during regular surgery hours. Under 39 degree C/102 degree F rectally (low-grade), with mild cold or flu symptoms, that lasts more than three days; call during regular surgery hours. That lasts more than 24 hours when there are no detectable signs of illness; call within the next 24 hours. That isn’t brought down at all by a fever-reducing medication within an hour; call within 24 hours; call immediately if 40.5 degree C/105 degree F or above. With onset following a period of exposure to an external heart source, such as the sun on a hot day or the closed interior of a car in hot weather; immediate emergency medical attention is required. That suddenly increase when a child with a moderate fever has been overdressed or bundled in blankets. This should be treated as heat illness; call immediately. limpness or unresponsiveness (you can’t interest your child in anything, can’t elicit a smile); call immediately. convulsions (the body stiffens, eyes roll, limbs flail); call immediately, the first time. If your toddler has had convulsions in the past, call within 24 hours, unless the doctor has advised you to do otherwise. convulsions that last longer than 5 minutes, call 999 immediately for emergency assistance. inconsolable crying that lasts 2 or 3 hours; call immediately. crying, as if in pain, when your child is touched or moved; call immediately. whimpering or moaning unrelated to behaviour; call immediately. purple spots anywhere on the skin; call immediately. difficulty breathing, once the nasal passages have been cleared; call immediately. severe headache (especially with vomiting); call immediately. drooling and a refusal to swallow liquids; call immediately. 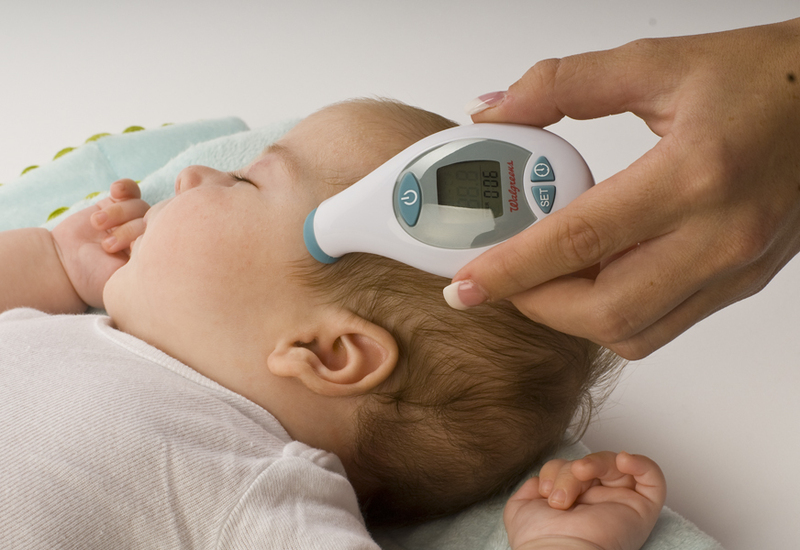 neck stiffness (the child resists having the head moved forward towards the chest); call immediately. suspected burning or pain during urination (this might be difficult to confirm in a young toddler); call immediately. sore throat; call during regular surgery hours. a rash; call during regular office hours. repeated vomiting; call within 24 hours. mild dehydration; call during regular surgery hours. that lasts more than 2 weeks; call during regular surgery hours. that disturbs sleep at night; call during regular surgery hours. that brings yellowish or greenish phlegm; call during regular surgery hours. that brings up blood-tinged phlegm; call immediately. chest pain; call during regular surgery hours. wheezing (a whistling sound on breathing out, as in asthma); call during regular surgery hours. retractions (the skin between the ribs appears to be sucked in with each breath); call during regular surgery hours. rapid breathing; call during regular surgery hours. following exposure to someone with diagnosed strep infection; call during regular surgery hours. in a child with a history of chronic lung disease, rheumatic fever, kidney disease; call within 24 hours. fever over 39 degree C/102 degree F; call during regular surgery hours. discomfort when swallowing; call during regular surgery hours. severe difficulty swallowing, drooling; call immediately. white spots or blisters on reddened throat; call during regular surgery hours. swollen, or tender, glands in the neck; call during regular surgery hours. a rash; call as soon as rash appears. hoarseness that lasts 2 weeks; call within 24 hours. blood in sputum or phlegm. blood leaking from the ears. severe lethargy, with or without fever; a semi-awake state from which he or she can’t fully be roused; lack of responsiveness. Crying or moaning as if in pain, when moved or touched. restlessness – your child cannot settle down to sleep for more than 30 minutes at a time. continuous crying for more than 3 hours; high-pitched crying; faint whimpering or moaning. refusal to eat at all for an entire day. Swollen glands that become red, hot and tender; call within 24 hours. Severe pain anywhere in the body, but especially in the head or chest; call immediately. Yellowing of the whites of the eyes or of the skin; call during regular surgery hours.